At the time of the agricultural revolution the world was divided into thousands of small, separate and relatively simple human societies. As time went by these societies combined to form larger and more complex societies until the entire world became a single, global system. This unification of human kind was driven forward by three main forces; money, empires and religions. We examined the role of money and trade in lecture 8. This lesson focuses on the part played by conquerors and empires. This section continues the subject of “The Unification of Humankind” and Dr. Yuval Noah Harari speaks about imperialism. The idea of empire is seen today in a very negative light, but empires have played such a central role in human history that it’s hard to regard them as totally evil. We look at what exactly is an empire and how they have succeeded in uniting different ecological regions, ethnic groups, and religious communities. We discuss how the positive contribution of empires with their record of violence and oppression can be balanced and what the future of the imperial ideal holds, whether the world is destined to be ruled by a new global empire. These are my course notes from the course “A Brief History of Humankind” and are the lectures and opinions of Dr. Harari. An empire is a political order which has two very important characteristics. Firstly, to be considered an empire, a leader must rule over a significant number of distinct peoples each of which possess a different cultural identity and a separate territory. There is no exact number that needs to be ruled to be defined as an empire, two or three different peoples is not an empire but 30 or 40 is. Somewhere in between three and 20 passes the imperial threshold to be an empire. The second characteristic is that it has flexible borders and potentially unlimited territory. Empires are systems of government that can swallow and digest more and more nations and territories without altering their basic structure or their basic identity. Canada, for example is a very big country, however, it is not an empire. It cannot annex more and more territories without changing its most fundamental structure. If Canada started conquering and annexing say, Cuba, Venezuela, and Mexico it would no longer be itself. It would be something completely different. An empire on the other hand, is a kind of political system that can conquer almost any place on earth without changing its basic nature and characteristics.Empires are culturally diverse, they rule over many peoples, each with its own culture, and they are territorially flexible. They can become bigger and bigger without changing their basic identity. These two features give empires not only their unique character, but also give them a very central role in history and in the process of human unification. It is thanks to these two characteristics that empires have managed to unite diverse ethnic groups and diverse ecological zones under a single political structure thereby fusing together larger and larger segments of the human species, and contributing to the unification of human kind. It should also be stressed that an empire is defined only by these two characteristics, the cultural diversity and the flexible boarders, and not by its method of government. An empire does not need an emperor. It does not have to be governed by a single dictator or king. The British Empire, for example was the largest empire that ever existed in history and was ruled by a democracy. There are other democratic or at least republican empires in history, for example, in the modern age, there are the Dutch, French, Belgian and American Empires, all ruled by democracies. In the pre-modern era were empires like Rome, Carthage and Athens governed by Democratic or Republican elites. Empires are not defined by size and can be very small. The Athenian empire, for example, at its height, was much smaller in territorial size and population than today’s Greece. 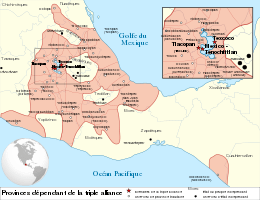 The Aztec empire was much smaller than the modern country of Mexico. Both of them, Athens and the Aztecs, are nevertheless considered to be empires, modern Greece and modern Mexico are not. The Athenians and the Aztecs ruled dozens, even hundreds of different peoples and they could expand indefinitely. There was no limit for their potential expansion. 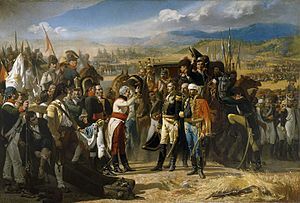 Modern Greece and modern Mexico rule a much smaller number of different peoples and they cannot expand a lot without changing their basic character. It’s difficult to understand how it was possible, in the time of ancient Athens, to squeeze hundreds of different peoples into a territory that today contains just a small, modern state like Greece. An entire empire existed in a territory that today is just considered a small state, which seems confusing. It was possible because in the past there were many more different peoples in the world than there are today. Thousands of years ago, each people had a much smaller population and occupied a much smaller piece of ground than the typical people of today. One of the main reasons for this drastic reduction in human diversity is empires. Over the centuries empires acted like steam rollers, which gradually obliterated the unique characteristics of numerous tiny peoples and forged them together to become much larger groups. When we discuss empires in history we have to take into account the prejudices of modern cultures. Today empires have acquired a very bad reputation. Imperialism is one of the worst curses in our political lexicon. 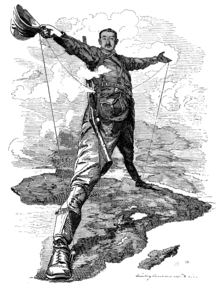 To insult somebody, a political rival or an enemy state, the term ‘imperialist’ is often heard. Imperialism and empires are considered as very bad things. The modern objection to empires, commonly takes two forms. First of all, people object to empires because they argue that empires are inefficient and don’t work. It’s common to hear that it is not possible to rule effectively over large numbers of conquered peoples and that empires are doomed to failure and to collapse. The second main objection is that they are evil. They corrupt both the conquered people, who are not given independence to develop, and also corrupt the conquerors. In the last century there is a general belief that every people has a right to self-determination so there should be as many independent states in the world as there are peoples. No people should be governed by somebody else. From an historical perspective, the first statement, that empires don’t work, is not logical. The second statement, that empires are evil, is a very problematic statement. Let’s take them in turn. The empire has been the world’s most common form of political organization for the last 2,500 years. In the last two and a half millennia, most human beings on earth have lived in empires not in independent states. Empires have worked much better than independent states. They are a very stable form of government when compared to other forms of governments. Most empires have found it alarmingly easy to put down all the rebellions of the conquered populations, of the conquered people, and to maintain their control of dozens of different peoples. In general all empires collapse in the end, but not because of internal revolt by the conquered people. This sometimes happens, but it’s quite rare. Most empires have collapsed either because of invasion from external enemies or from another empire, or because of a split within the ruling elite itself. Conversely the conquered people have a pretty lousy record of managing to free themselves from the ruling empires. Most conquered people in history never freed themselves from the empires that conquered them. Even if they tried to rebel, the empire managed to break the rebellion and continue to control them. Most conquered people in history remained part of the empire that swallowed them. They gradually lost their unique identity, their unique culture, and simply disappeared. Even if the empire eventually collapsed the conquered people did not emerge from the dead empire. They simply didn’t exist anymore. For example the Western Roman Empire fell to the invading Germanic tribes in the fifth century, A.D. The hundreds of tribes and nations whom the Romans conquered centuries earlier did not emerge from this dead empire to go on with their existence as they did before they were conquered as they didn’t exist any longer. They were Romans and their unique identity had disappeared. In many cases the destruction of one empire resulted in the formation of a new one. Nowhere can we see this process more clearly than in the history of the Middle East, the place where the first empires arose more than 3,000, 4,000 years ago. The current political situation in the Middle East where we have a sort of balance of power between many independent political entities with more or less stable borders, different states, is almost without parallel at any time in the history of the Middle East for the last several thousand years. The last time the Middle East experienced such a situation was in the 8th century B.C., almost 3,000 years ago. 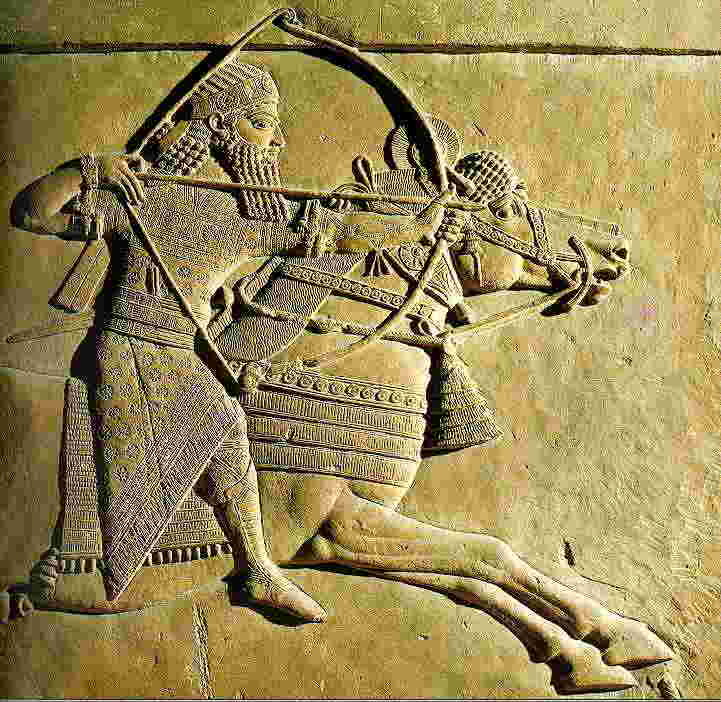 From the rise of the Assyrian empire in the 8th century B.C. when it conquered all the different states in the Middle East, until the collapse of the British and French empires. In the middle of the 20th century the peoples of the Middle East passed from the hands of one empire to another like a stick in a relay race. They were conquered by the Assyrians but when the Assyrian empire collapsed they didn’t regain their independence. There was the Babylonian empire then the Persian empire then Alexander the Great and the Romans and the Byzantines and the Arabs and so forth. There was almost never a situation when there wasn’t an empire in the Middle East and local people managed their own affairs. It’s a mistake to think that empires do not work, most people, for the last 2,000 years, lived in empires and even though those empires eventually collapsed in most places they were replaced by other empires rather than by a different kind of political order. Building and maintaining an empire usually required slaughtering hundreds of thousands of people and brutally oppressing millions more people. The standard imperial toolkit with which empires are built and maintained includes war, enslavement, deportation and genocide. This does not mean, however, that empires are pure evil and leave nothing good, nothing of value in their wake. If all the empires in history are painted black then all the imperial legacies from culture would also be painted black. Significant parts of human culture would need to be rejected, much of which, at least over the last two and a half millennia, have been the product of empires. Imperial elites used the profits of conquest, not only in order to finance armies and fortifications, but also to finance human philosophy, justice, law, charity and things like that. 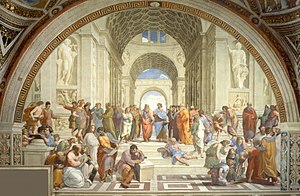 Many artistic masterpieces owe their existence to empires and the exploitation of conquered populations. take the Taj Mahal for example. The Taj Mahal could not have been built without the wealth that was accumulated by the Mogul Emperors from exploiting millions of their Indian subjects. The music of Hayden or Mozart was financed by the profits of the Hapsburg empire from exploiting its Slavic, Romanian and Hungarian subjects. Leaving aside the fields of high culture, like classical music, architecture and philosophy and focusing on the culture of the common people. There too imperial legacies influenced the majority of cultures today. This is most obvious in the field of language, the kind of languages people use to speak, think and dream. Most people in the world today speak, think and dream in imperial languages that were forced upon their ancestors by conquest. Most people in China speak in the language of the Han Empire, Han Chinese. Nearly all the inhabitants of the two continents of America, from Alaska in the North to the straits of Magellan in the south communicate in one of just four imperial languages. They use English, French, Spanish or Portuguese. In the Middle East present day Egyptians speak Arabic and think of themselves as Arabs. The Arab empire conquered Egypt by brute force in the seventh century and crushed the repeated revolts that broke against its rule in Egypt. Egyptians today are the descendants of people conquered by the Arabs. They didn’t speak Arabic and they didn’t see themselves as Arabs. In South Africa there are about ten million people that call themselves Zulu, and that use the Zulu language. They talk of the age of glory of the Zulu nation in the early 19th century. Most of them descend from tribes who fought against the Zulu empire in the early 19th century and were conquered by and incorporated into the Zulu empire through bloody military campaigns. Yet their descendants today think about themselves as being Zulu. Many Coursera courses are in English even when it is not the lecturer’s mother tongue. English may not be the native tongue of the students either. Even those in United States, Canada or Australia probably descend from ancestors who did not speak English and were forced to speak it by their British overlords. The reason that most Coursera courses are conducted in English is that English was the language of the biggest empire in history, The British Empire. Empires do work, at least sometimes. They leave behind them not only an evil legacy of death and destruction but also very important and positive legacies of art, culture, languages, world views and so forth. Next we looked at when and how the first empire emerged and how the imperial idea spread around the entire world and how empires became such important players in the theatre of history. As far as we know, the first empire about which we have definitive information was the Akkadian Empire of Sargon the Great or Sargon the Conqueror, which was established around 2250 BC. Sargon began his career as a king of a small city-state called Kish in southern Mesopotamia, what is today southern Iraq. During his lifetime, Sargon was a very able military commander and political leader. 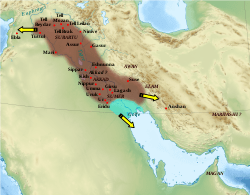 Within a few decades he managed to conquer not only all the other Mesopotamian city states, there were dozens of them at the time, but also managed to conquer large territories outside Mesopotamia. Sargon boasted that he’d conquered the entire world. There are texts of this boast. He didn’t really conquer the entire world; he didn’t conquer Japan and Australia for example. But his empire was still big for that time. It stretched from the Persian Gulf, where Kuwait and southern Iraq are today, up to the Mediterranean. It included most of modern Iraq and Syria along with some chunks from modern Iran and Turkey. The Akkadian Empire didn’t last very long. Soon after Sargon died the empire collapsed. He and the Akkadian Empire left behind a new idea and a new dream, the imperial dream, the dream to conquer the entire world, to unite the entire world under a single king or a single government. This dream ignited the imagination of numerous rulers, kings, conquerors and governments many years after Sargon. For the next 1,700 years, until the middle of the first millennium B.C., many Assyrian, Babylonian, and Hittite kings and others adopted Sargon as their role model. They too wanted to conquer the entire world and very often they too boasted in their writings that they had conquered the whole world, even though it wasn’t true. This was a major ideal in Mesopotamian and Middle Eastern political thinking for close to 2,000 years after Sargon. Around 500 B.C., came Cyrus the Great, King of Persia. He had an even more ambitious dream, an even more impressive boast than conquering the whole world. The kings of Assyria always remained Kings of Assyria even when they claimed to rule the whole world. It was obvious to them and to everyone else that they were doing it for the benefit of Syria. Cyrus the Great of Persia came along with a new idea. He claimed not merely that he would conquer and rule the whole world, but that he would do it for the sake of all people, not just the Persians. His great new idea of was to conquer peoples for their own benefit. 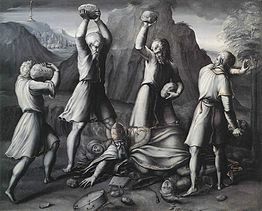 Cyrus did not see himself as a Persian king ruling over other people, like the Babylonians, Aramaic, or the Egyptians. He saw himself as the king of all humans, not just Persians, responsible for the welfare and prosperity of all humans. they’re something else. The worst enemies of the Dinkas are called the Nuer, another group of people in the Sudan. The word Nuer, in the Nuer language means genuine people. The way the Nuer see it, people who are not Nuer or not one of us are not genuine people. Thousands of kilometres away from the deserts of Sudan in the ice lands of Alaska and north-eastern Siberia is group of people called the Yupiks. Yupik in Yupik language means real people. Again, people who are not ‘us’, not Yupik, are not real people. This is how most people in history before the rise of the big empires treated other people. The basic concept was there is ‘us’, real people and ‘them’, other people, our enemies, our neighbours, the barbarians, ‘they’ are not really people, ‘they’ are something else. In contrast to this ethnic exclusiveness Cyrus the Great of Persia had a new imperial ideology characterized by being inclusive and all encompassing. Cyrus saw the whole of humankind as a single group, everybody belonged. His task as king of the world was not to take care of all people, of all humanity. Even though imperial ideology was not always egalitarian, it was very often hierarchical. It emphasized the racial and cultural differences between the ruling elite and all the subject conquered people. Imperial ideology from Cyrus the Great onwards recognized the basic unity of the entire world and its ideal was, or should have been, a single set of principles that would govern all people, everywhere, at all times. Another central ideal of imperialism after Cyrus was that all human beings had mutual responsibilities between them. In imperial ideology humankind is usually seen as some kind of big family. There are parents and children, the parents or the ruling elite have all kinds of privileges. These privileges go hand in hand with responsibility for the welfare of the children, the conquered subjects. This new and startling imperial vision began, at least in the Middle East, with Cyrus and the Persians. From then it moved on and was adopted by Alexander the Great and the Hellenistic kings which came after the Persians. It was adopted by the Roman emperors, by the Muslim Caliphs, by the rulers of India and eventually it came down to us in the late modern age. We now have the Soviet empire and the American empire behaving or at least claiming to behave in accordance with this ideal. This benevolent imperial vision of the empire as something that takes care of the well-being of all people has justified the existence of empires for 2,000 years. It not only negated, or objected to any attempts by subject people to rebel against the empire, but it also objected to any attempt by independent peoples to resist imperial expansion. If the empire is like parents that take care of all the people in the world so anybody who resists the empire is resisting the good of humankind. This was the central idea of imperial ideology. Similar imperial visions developed independently of the Persian model in other parts of the world. Cyrus the Great and his successors were not the only ones who had the brilliant idea of conquering the whole world for the benefit of all people. It arose at different times in China, in Central America, in the Andean region of South America, and in several other places in the world. Empires with such universal aspirations have played a decisive part in uniting the many, many small cultures of humankind into fewer and fewer big cultures and eventually into a single global system. Under the rule of an empire, ideas, people, goods and technology can spread much more easily than when they have to cross borders between many states, city-states, tribes, and so forth. This is one of the ways in which the empires helped unite mankind; they made it easier for ideas, technology, and for people to move around. Very often the empires not only made it easier but they deliberately spread a single package of ideas, institutions, customs and laws over larger and larger territories in which they ruled. One reason the empires did this was to make it easier for themselves to rule all these territories. It is difficult to rule an empire in which every little district has its own laws, language, money and so forth. It’s much easier when there are the same norms and values. A second reason to spread a common culture was in order to gain legitimacy. Since the days of the Persian Empire of Cyrus the Great, empires have justified their actions, whether it’s waging wars or building cities and roads, as necessary actions for the spread of a superior culture over the world. This superior culture would benefit everybody including the conquered people. Most imperial elites earnestly believed that by spreading this imperial culture they were working for the welfare of all the inhabitants of the empire. They also gained of a lot of power and privileges but most imperial elites really thought that their country was the best in the world and that they had a mission to spread it. 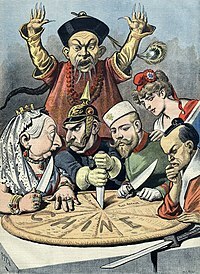 In China for example the ruling class of the Chinese empire thought that all the neighbours and all the conquered people within China were miserable barbarians. It was the duty of the Chinese empire to bring the benefits of the best culture in the world, the Han Chinese Empire, to these miserable barbarians. The mandate to rule the world was given by the gods, by heaven, to the Chinese emperor, not in order to enjoy himself, and not in order to exploit the world but in order to educate humanity. This was the central idea of the Chinese empire. Exactly the same ideas occurred in ancient Rome. The Romans justified their dominion over what they thought to be the whole world, the Mediterranean zone, by arguing that they were bringing the benefits of justice, peace, and good culture, to the barbarians in Gaul, Spain, Britain and Germany and so on. The Muslim Caliphs also argued that they conquered the world because they received a divine command to spread the good revelations of Islam to the entire world. They really believed in it. The same happened with the Spanish and Portuguese empires in the early modern era. They claimed that they conquered America not to enrich themselves, but to spread Christianity. 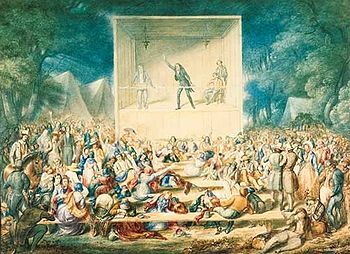 In the 19th century the British, the biggest empire in history, claimed that their empire was aimed, not to enrich Britain, but to spread the twin gospels of liberalism and free trade. They did indeed try to spread these two ideas all over the world. In the 20th century the Soviet empire that claimed that its mission in history was to spread equality and socialism around the world. There are still many Americans who maintain that the US government has a moral and ethical imperative to take the benefits of democracy and human rights to third world countries, to barbarians, even if this means using cruise missiles and F-16’s in order to deliver these wonderful goods. The claims, that empires conquer for the benefit of the people and not in order to enrich themselves, involve, and involved throughout history, a lot of hypocrisies. 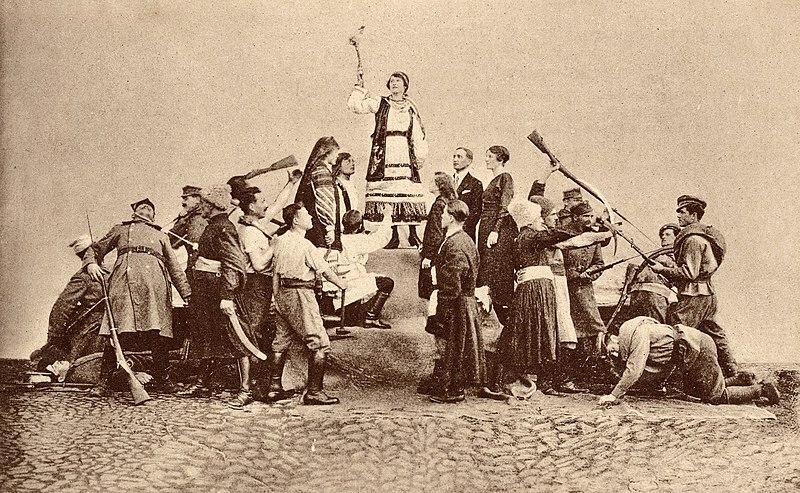 In many cases the imperial elite really believed in their mission and in many cases the empire succeeded in imposing their culture and their view of the world on the subject people. Sometimes this went so far that it led to the breakdown of the separation between the ruling elite and the subject people. Once the subject people accepted the culture, language, religion and behaviour patterns of the ruling elite there was no longer much difference between them. Barriers collapsed and they merged with one another. When this happened there were no longer conquerors and conquered, a division between an elite and the subject people, but they all united to form a single people or a single culture. This is not a quick process, it takes centuries but it can succeed. problem in the late Roman Empire for an Arab to also be a Roman. The Empire’s new citizens adopted Roman imperial culture with such zest that for centuries and even millenniums, after the Roman Empire collapsed they still continued to uphold and to develop the Imperial culture. Spain and the Iberian Peninsula took Rome centuries of very hard and cruel fighting to conquer and to put down all the rebellions of the local population against Roman rule. It’s been 1,500 hundred years since the fall of the Roman Empire in Spain. The Spanish still speak the language of the Roman Empire with some modifications. Spanish is a Latin dialect; it descends from the language of the Roman Empire. They use the Latin alphabet, the alphabet of the Roman conquerors. Most Spaniards today are Roman Catholics adhering to the religion of the late Roman Empire, which even today conducts much of its business in Latin. Latin is still the sacred language of the Roman Catholic religion and the centre of the Roman Catholic religion is still in Rome. 1,500 years after the Rule of Rome in Spain collapsed most Spaniards still believe and still uphold the culture of the Roman Empire, even if it’s a little modified. Spanish law today is based on Roman law. Spanish art, architecture, cuisine all owe a very huge debt to the legacies of the Roman Empire. A similar process occurred in the in the Middle East with the Arab Empire. When the Arab Empire was established in the middle of the seventh century A.D. it was at first based on a very sharp division between the ruling elite of Arab Muslims and the subjugated populations of Egyptians, Syrians, Iranians and Berbers who were neither Arabs nor Muslim. Over the centuries many of the subjects of the Arabian empire gradually adopted the Muslim faith, the Arabic language, and the imperial culture of the Arab empire. 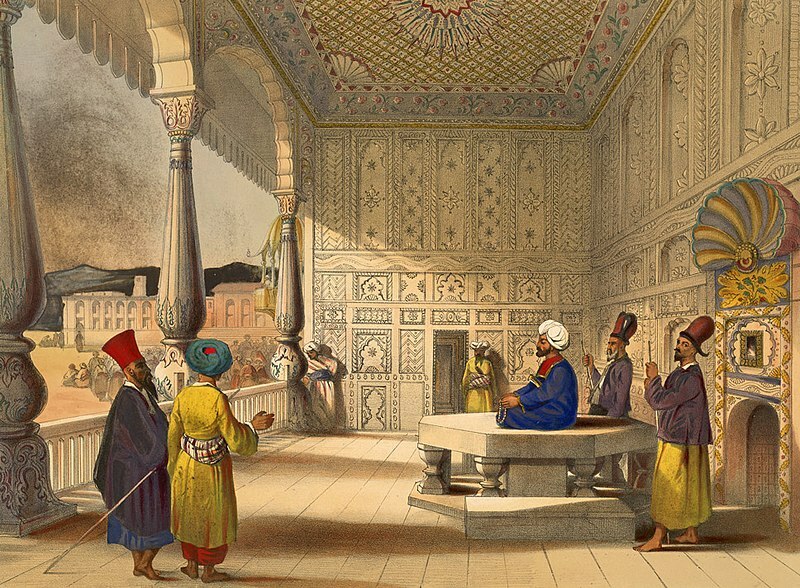 At first the old Arab elite was quite hostile to these developments and the new converts because it feared losing its unique status in the empire and its unique identity. Over the centuries, all the converts to Islam and to the Arabic culture demanded to have an equal share within the empire and the world of Islam. Eventually they got their way. Egyptians, Syrians and Mesopotamian’s were increasingly seen, not only by themselves, but by everybody else as being Arab just like the original conquerors from Arabia. The Arabs in their turn came to be increasingly dominated by non-Arab Muslims, in particular by Ukrainians, Turks and Berbers who adopted the Muslim religion and culture but not the Arab language. The Arab imperial project is the one of the most successful imperial projects ever in history. Its success is that the imperial culture that was created back in the 7th, 8th, and 9th centuries A.D., was adopted to such an extent by so many different people that continued to uphold, develop and spread it, that even after the empire collapsed the culture, religion and the language of the empire gained more and more strength and continued to spread around the world. The Chinese imperial project gained immense success for more than two thousand years. 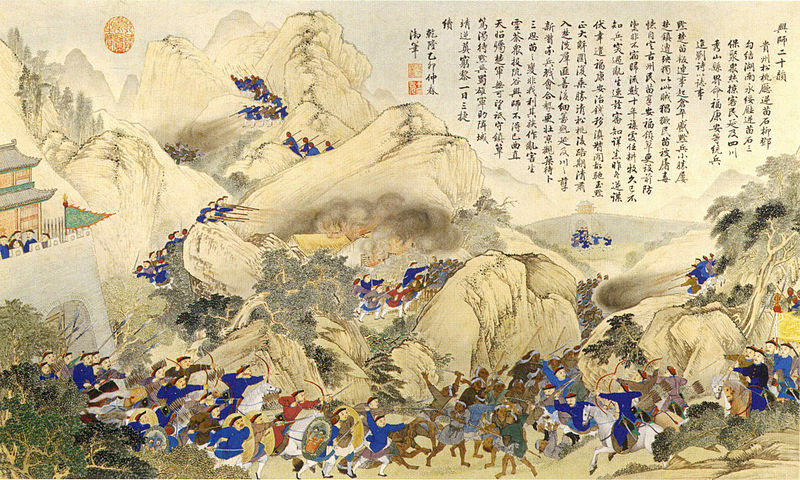 The Chinese empire gradually conquered numerous ethnic and cultural groups which were initially seen by the Chinese as barbarians. 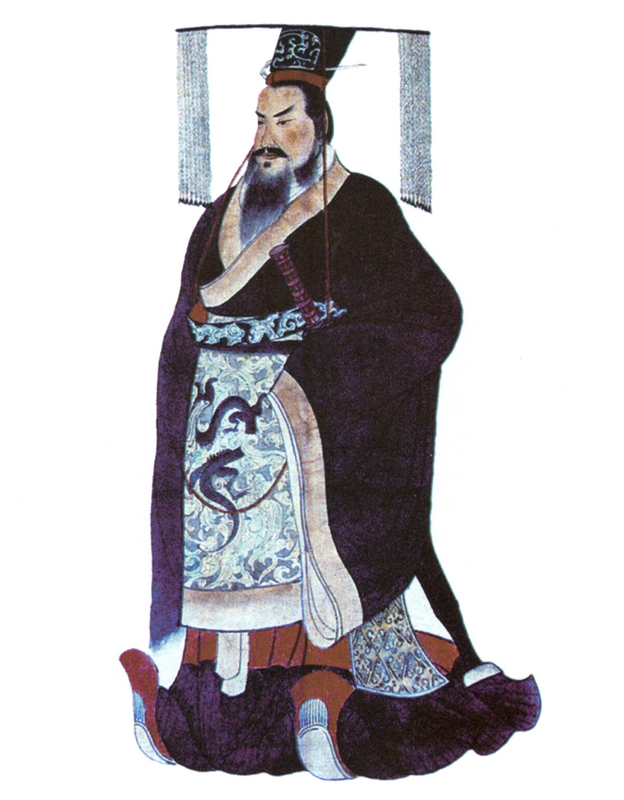 They were successfully integrated into the culture of imperial China, and eventually became Han Chinese. Han Chinese are named after the Han Dynasty (Empire) that ruled China from around 200 BC to around 200 AD. The ultimate achievement of the Chinese empire is that, even China still exists today, it’s hard to see it as an empire except in the outlying regions of Tibet and Xinjiang. More than 90% of the population of China are seen by themselves, and by others, as Han Chinese. They adopted the identity and the culture of the empire to such an extent that we can no longer really see it as an empire, as an elite ruling over a different people. We can similarly understand the process of decolonization that happened in the world in the last few decades according to a similar pattern. During the modern era, Europeans conquered much of planet Earth claiming that they were doing it in order to spread superior Western culture. Europeans were so successful in spreading their cultures that today billions of people have adopted significant parts of that culture. Indians, Africans, Arabs, and Chinese learned French, English and Spanish. Indians, Africans, Arabs and others began to believe in the principal of self-determination. 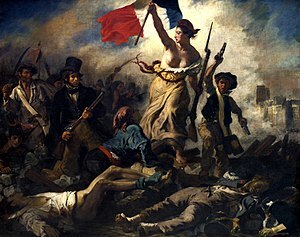 They began to adopt Western ideologies such as liberalism, capitalism, communism, feminism, nationalism, these are all ideologies that emerged or were invented in modern Europe. Today billions of people who were once conquered by Europeans believe in these European ideologies. During the 20th century local groups of people in Africa, Asia and other places that adopted Western values, began to claim equality with their European conquerors in the name of the same values that the Europeans had spread around the world. Many anti-colonial struggles in India or Africa were waged in the name of principles like self-determination, human rights, and socialism which are all Western principals and legacies. The same as happened with the Arabian empire that Egyptians and Syrians adopted. Today we have Indians, Africans, Chinese, Arabs and so on that have accepted much of the imperial culture of the former Western conquerors and change it in accordance with their own needs and traditions. They still basically adhere to the culture, ideologies and ideas of their conquerors. This is why it is very problematic to argue that empires are purely evil because empires are responsible, not only for the unification of humankind, but also for much of our culture today all around the world. Indeed, the very values that prompt many people to criticize empires, values like human rights, democracy and self-determination were spread around the word by the European empires. On the one hand empires did horrible things and caused death, war, genocide and exploitation on a gigantic scale. On the other hand, our culture today, even the values which we use in order to criticize empires, is all the product of those empires. It is tempting to divide history neatly into good guys and bad guys, and to put all the empires along with the bad guys. After all almost all empires were founded by violence and maintained their power through oppression, exploitation, and war. Yet most of today’s cultures are based on imperial legacies. If empires are by definition bad, evil, what does it say about us and our cultures? Even the very values which we use in order to criticize the empires are, in many cases, the legacy of the empires. For instance, today many people criticize empires in the name of self-determination or socialism. The ideas of self-determination and socialism were spread around the world by the European conquerors, the British, Americans, French, Dutch and so on. In Africa or India five hundred years ago people didn’t speak about self-determination or socialism. These are legacies of the European empires, not authentic ideas that go back thousands of years. years ago there were pure, authentic cultures untouched by any imperial influences but no such cultures exist today on earth. All human cultures today are at least in part the legacy of empires and of imperial civilizations. Let’s take an example and look at it more carefully. Think for example about modern India and the complex relationship between India of today and the British Empire. 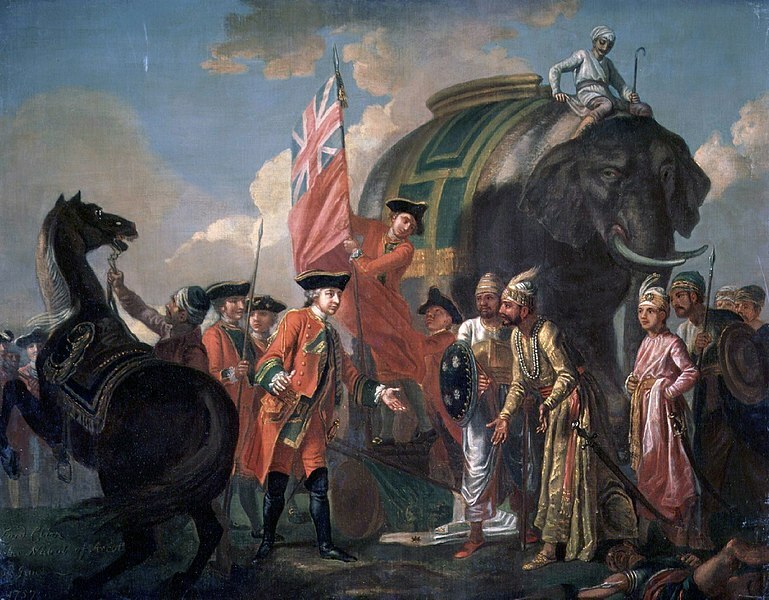 The British conquest and occupation of India cost the lives of many millions of Indians. It was responsible for the continuous humiliation and exploitation of hundreds of millions of Indians for more than two centuries. The independent state of India was established only after a long and very bitter struggle against the British conquerors. Independent India is also, in many respects, the child, the offspring, of the British Empire. It was the British who united hundreds of warring kingdoms and principalities and tribes into a single political unit. In the process they created a shared national consciousness among Indians that wasn’t there before. The British also laid the foundations for the Indian judicial system. They created the administrative structure which is still in use today in India. The British built the railroad network that was critical for the economic integration of India. Independent India after releasing itself from British control adopted Western democracy in its British form as the Indian style of government and did not try to go back to some authentic Indian form of government. English is still today one of the chief languages of India. 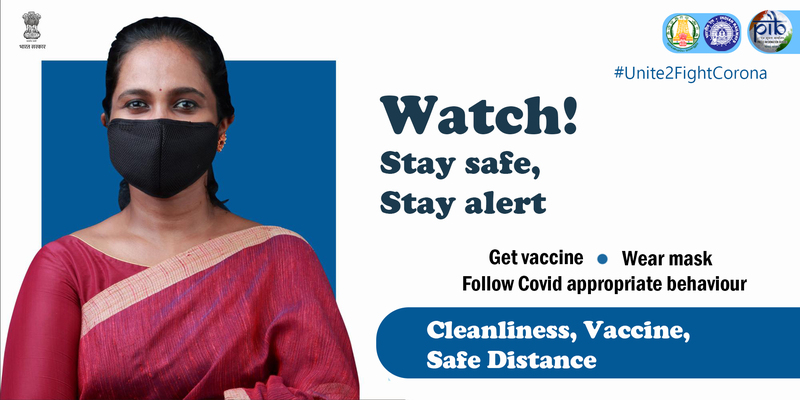 It serves as a neutral tongue that bridges the gaps between the different local languages of India, like Hindi, Tamil and Malayalam. Very often when Indians that speak different languages communicate, they use English. The national sport of independent India is cricket. Cricket was invented in England in the 16th century, and was introduced into India in the 19th century. The national drink of India is tea or chai. India without tea is hardly imaginable but few people drank or grew tea in India before the British came. The British East India Company began commercially farming tea in India in the mid-19th century. In most parts of India people began to drink tea because they saw the British masters drinking tea and wanted to imitate them. Indians today wouldn’t be willing to give up democracy, English, the labour networks, the legal system, cricket and drinking tea just because all these are imperial legacies. An extreme Indian nationalist who would like to completely renounce all the legacies of the British Empire would only be defending a legacy of even older empires. 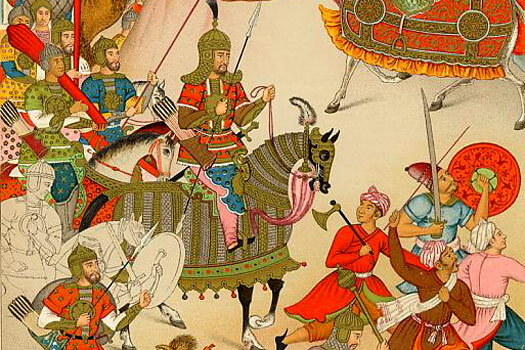 The Mughal Empire or the Sultanate of Delhi ruled India before the British, India was still ruled by empires. The Taj Mahal, again as an example, is often depicted as the symbol of authentic Indian culture. But it was built by conquerors from outside, by the Muslim conquerors of India, according to Persian architectural models. The Taj Mahal is no more Indian than tea or cricket. Extremists may want to give up everything, tea, cricket, railroads, and democracy and even destroy the Taj Mahal, in order to go back to a pure and authentic Indian culture that existed before the Muslim invasion. But before then India had other empires. It isn’t logical to overturn the legacies of the British and Muslim empires in India only to sanctify the legacies of older empires like the Gupta, the Kushan , and the Mauryan Empire, that ruled India more than a thousand years ago. They weren’t more humane, and they weren’t more Indian than the empires of the Mughals or of the British. Nobody really knows how to solve this thorny question of cultural inheritance and authenticity. Whatever the solution, the first step is to acknowledge the complexity of the dilemma and accept that dividing the past into good guys and bad guys leads nowhere unless we admit that we usually follow the lead of the bad guys. Much of our culture is an inheritance from the bad guys. For the last 2,000 years most humans have lived in empires. It seems likely that in the future most humans will live in an empire but this time the empire will be truly global. The imperial vision of Cyrus the Great and others, of having a single government ruling over the whole world and the whole of humankind, might be fulfilled in our lifetime. During the 20th century, the main political ideal was nationalism. According to the nationalist ideal the nation, or the people, is the sovereign and hence the source of all political authority. The supreme role of the state, according to nationalism, is to promote the interests of the national collective. Accordingly, it was accepted wisdom in the 20th century that there should be as many independent states as there are distinct peoples. There was no place for empires that rule more than one people, more than one nation. As the 21st century begins, we see that nationalism is fast losing ground. More and more people believe that all of humankind, and not as a people of particular nation, is the legitimate source of political authority. So then the principle of politics should be guided towards safeguarding human rights and protecting the interests of the entire human specie, not the interest of a particular nation. Having close to 200 independent states is a hindrance to obtaining the aims of politics. Since it is widely accepted that Swedes, Indonesians, Nigerians and everyone else have and deserve the same human rights it would be simpler for a single global government to safeguard the rights of all than for different states. Moreover, the appearance of essentially global problems such as global warming erodes whatever legitimacy remains to the independent nation-states. No nation-state by itself can overcome global problems, like global warming. We need a global government, global empire, in order to solve such problems effectively. This is why there are people who think that the global empire when it comes will be green, the colour of the environmentalist cause. The first big project of the global empire will be to save the ecological system. As of 2013, these are still visions for the future. The world is still divided into close to 200 different states. What we can observe even today, is that the states are fast losing their independence. Fewer states are able to really execute independent economic policies or to declare and wage wars as they please or even to manage even their internal affairs as they see fit. States are becoming more open to the intervention of global economic forces, global companies, NGOs, global public opinion and so on. They are increasingly obliged to conform to global standards of financial behaviour, environmental policy, and justice. There are today in the world immensely powerful currents of capital, labour, and information that turn and shape the world with a growing disregard for the borders and the wishes of the states. We see the formation of a unified political, economic, and social system which we may call the global empire. It is important to realize that this new, emerging global empire is not governed by a particular state or ethnic group. Much like the late Roman Empire it is an empire ruled by multi-ethnic elite held together by an increasingly common culture and interests, the global elite, or the global caste. What is the global caste? In the early 21st century the world is not being governed and run by a particular state or government but by a global caste of business people, engineers, people in the academia, people in the arts, in the universities and so forth. No matter where they live, in New York, Buenos Aires, Shanghai, Dubai or Cape Town these people increasingly have the same interests, the same viewpoint about the world, the same culture. They increasingly live a similar lifestyle. On the other hand, the gulf between this global caste and the rest of the population becomes wider. In the 19th and 20th century, the main division of the world was a division into different nations. Today the main divisions of the world are increasingly horizontal into castes, or classes. Somebody who belongs to the global caste in New York is much closer in their way of life, in interests and outlook, to somebody who belongs to the global caste in Delhi than to somebody in a poor neighbourhood in New York. This is the, the new empire that is emerging along with a new ruling class. Many people today in the world worry about whether they belong to this caste or not and whether they’re interests, their loyalty, should be given to the global caste, and the global empire, or to their own country and nation. More people, professors, lawyers, engineers, managers and corporations ask themselves to whom they owe this loyalty. Increasingly people choose the empire and feel that their chief loyalty is to the, global community of knowledge, values, and interest. Stopping global warming or spreading human rights around the world is their chief loyalty and not their particular nation and country. By Louise Taylor in History of Humankind on October 8, 2013 . Thanks again for these fine notes. I’ve often wondered what is the software used…and how do you find the time? I use a free wordpress blog. I don’t know how the software works I just copy and paste from my word document and add the pictures. As for the time – I get up early. Glad you like the notes Jim.